Former Ira Wilson and Sons Dairy. 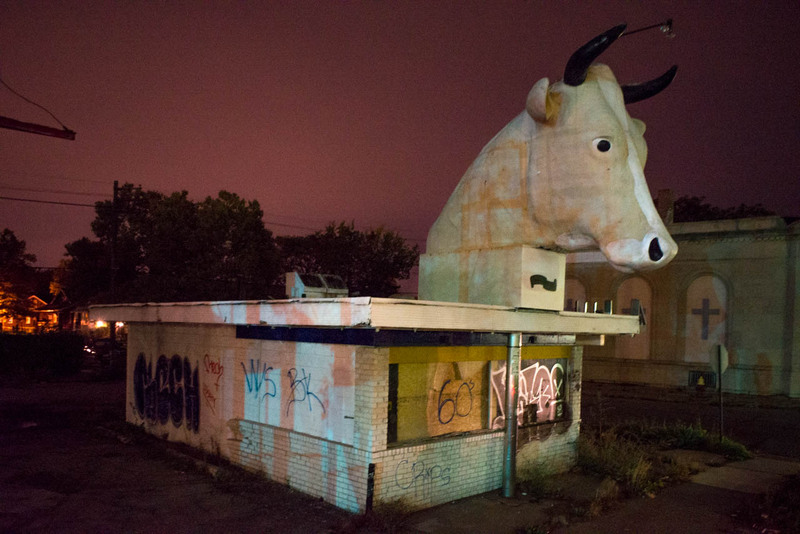 At night, the enormous cow head resembles one of Goya's Caprichos. The head was repainted to be included in the movie 8 Mile. Mack Ave. at Lenox, Detroit. 2013.